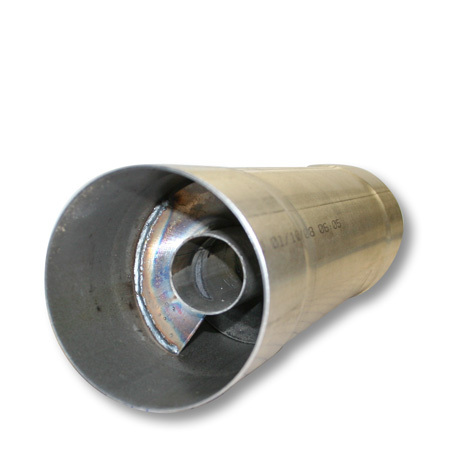 Resonator / Muffler 5" Aluminized, perfect for performance exhaust systems with un-wanted cab noise or drone. This unique spiral design virtually eliminates the unwanted sound while keeping flow characteristics for both performance and EGT reduction. Small and Simple Design makes this unit ideal for mounting in tight areas, heavy construction ensures it lasts a long time. See what customers are saying about their experience with this amazing product at www.cumminsforum.com, this product has proven itself to work great on all diesel powered trucks alike (Cummins, Powerstroke, and Duramax).